The protection and support you need on demanding trails. 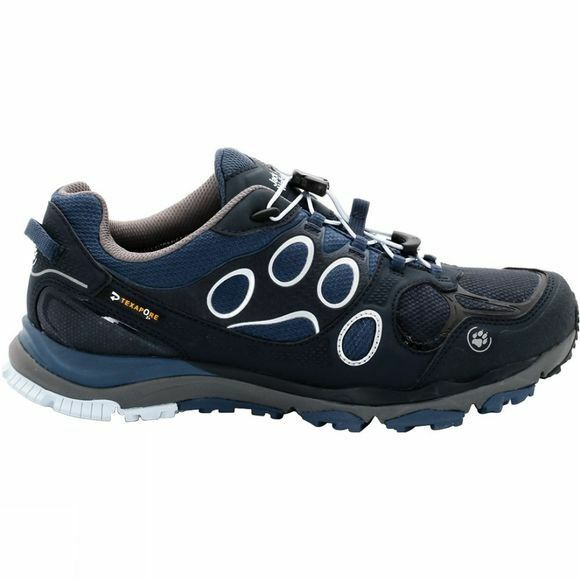 Women's Trail Excite Texapore Low Shoe has an integrated Texapore O2+ membrane for reliable waterproofing and high breathability. The upper is made from PU nubuck with welded TPU for perfect support and control. An additional TPU frame at the heel gives your foot additional stability and support. The newly developed sole guarantees perfect ground contact, good roll-off performance and optimal grip – even in the wet. Because the shoe is made entirely of synthetic materials, it is a very low maintenance shoe, which is an added bonus. And with the rapid lacing system the shoe fits snugly with just one pull of the cord.